Astros radio play-by-play since 2006. Previously with the Baltimore Orioles (2005) and San Francisco Giants (2003). Call your cable provider to see me on The Longhorn Network and other ESPN properties during the offseason. Bookmark this blog and come back often to laugh, think and offer suggestions. Thanks for checking in. Your loyalty to this neglected blog is admirable and much appreciated. My apologies for the cone of silence. Anyway, I’m writing again at the request of a truly good friend – Jim Deshaies – who asked me to contribute to WGNTV.com’s “Stats Sunday” blog. I learned a lot from JD during our seven years together in Houston. I loved it when we were paired for TV or radio broadcasts. I loved the countless hours we spent talking baseball on golf courses and during our daily commute. Yes, he’s a fantastic baseball analyst. The Chicago Cubs are thrilled to have him and many baseball fans in the South miss him terribly. I know I do. Anyway, when JD asks for something I do my best to accommodate. Lots of genius in Comedians in Cars Getting Coffee. That said, “Stats Sunday” is impossibly open-ended. I struggled to pick a topic. So I gave up. I decided to watch a little Chris Rock instead. He was cruising around with Jerry Seinfeld for a webisode of Comedians in Cars Getting Coffee. The two pontificated on all kinds of nonsense. At one point the conversation veered to baseball and, of course, steroids. Then the damn video paused and my browser started to pinwheel. I hate that. I don’t know whether to gripe about bandwidth or be pissed at the 26 tabs open in Safari. I hope you’ll read it. We can argue about Comedians in Cars Getting Coffee or the merits of such sabermetrics as wRC+ when you’re done. It’s April 1st and I start my new job today. As has been the case for most of my professional life, I’ll be watching baseball. Only this time I’ll be watching every game. We haven’t even begun. What’s even cooler is that you can watch it with me. For free. The good folks at MLB.com and Yahoo! have created something called “MLB Full Count” and have kindly asked me to be a part of it. It’s live every day. It streams online and is also available as a free app (find it in iTunes store as “Full Count.” No app for Android, yet). All you have to do is tune in. We’ll show up-to-the-minute highlights, recaps, standings and take you around MLB for live look-ins of close games, dramatic finishes, historic performances and the like. We have a team of producers, writers, on-air talent and access to every single MLB broadcast everyday. It’s awesome. Anyway, consider it an open invitation to join me this summer. I’m getting settled today and Tuesday, but will jump in on Wednesday night for all the fun. You’ll also find me at events like the All-Star Game, World Series and all kinds of other exciting places. I’ll try to keep you updated on my whereabouts. It would be impossible to adequately express my gratitude to all of you who have been so supportive and kind during my six months of — umm — free agency. Your good humor, perspectives and supporting words helped smooth over those occasional bumpy moments. I should mention the food, too. I also owe a lot of lunches to my buddies in the business. Too many to count. I read about the Astros opening-day victory over the Rangers this morning. Pretty wild that it also happened to be the 4000th win in the franchise’s history. In 51 years of National League play — 3999 wins. As an American League club — a perfect 1-0. What an amazing sport. More amazing is the fact that the Astros switch to the American League is the first time a team has left the National League — for any reason — since 1899. Teams have joined the NL over the decades, but none have departed. The Astros move on Sunday was foundation-shaking history. Like the Cleveland Spiders in 1899. The Spiders lost 101 road games (NL teams refused to travel to Cleveland to play a team which chose to field a pitifully depleted roster at the expense of attendance). Driven by a bold and creative business plan, Spiders’ owners Frank and Stanley Robison shifted their stars and payroll to other teams. Eventual Hall of Famers like Cy Young and Jesse Burkett (and many others) went from Cleveland to the Robisons’ new team in St. Louis. The Spiders posted a jaw-dropping 20-134 record in 1899 and that was the end of NL baseball in Cleveland. Four other NL fanchises folded that offseason. From that chaos was born the Senior Circuit we’ve known since. Expansion periodically bolstered the 8-team league beginning in the 1960s and the Milwaukee Brewers snuck in 1998. Since the Spiders of 1899, however, the only team to walk away from the NL did so on Sunday night. I’m sure most fans hope that it’s the last similarity among the Astros and Spiders. So what do one man’s underwear, another’s bloody nose and piping hot soup have to do with baseball broadcasting? I’m glad you asked. Now I’m not the boss of you (or my kids, as I understand it), but I’d encourage you to visit Baseball Prospectus if you’ve never tried it. What the heck, even you BP veterans are invited! They serve heaping portions of thought-provoking stories every day. You’ll like it. I’m not sure why they asked, but I was tickled to contribute. Do me a favor and check it out. And feel free to share it with all your friends. Also, this website is going to change. It’s not under new management or anything, but it’s going to change. Specifically, I plan to post more regularly. I haven’t set a schedule yet — and I’m open to suggestion — but as we get closer to Spring Training I figure it’s time to experiment. I think it will be fun and I hope you’ll come back often. I’ve got a lot to figure out these days. Speaking of which, I’ve been thinking about one of my favorite sculptures by Auguste Rodin. He called it “Eternal Spring” and completed it in the late 19th century. Originally from the late 19th Century, Rodin completed this marble version in 1907. Pretty racy stuff for the time, no? You might also find it called “Eternal Springtime” and if you look closely, you’ll find it in his “The Gates of Hell.” He used it a lot. I like the juxtaposition. Is this some sort of shameful act for which we’re destined an eternity of brutal heat and no cable TV? Or does it exude the thrill of new love, hope and fresh beginnings? My glass is half-full on this one. No sense in looking back. The future is full of excitement and opportunity. Pitchers and catchers report in, what, three weeks? On my way out of PNC Park last Wednesday, I stopped to say goodbye to Tom. Technically, Tom’s job is to make sure only authorized people go in and out of the visitors’ clubhouse. Mostly, though, Tom likes people. And he loves to talk. Earlier in the day, I said my final goodbye to Bob, the concierge at our hotel in Pittsburgh. Bob is right out of central casting. He’s missed family functions to welcome our traveling party at dinner time on a Sunday. He’s always there to greet us by name when we arrive at 4:00am for a mid-week series. I’m pretty sure Bob would hotwire an abandoned car if I told him I needed it (thanks, Bob!). I’ll miss those guys. We didn’t exactly choose one another, but we’re baseball family. So as the bus pulled away from PNC Park the other night, my stomach twisted in knots. My chest constricted a little. I know the Pirates aren’t going anywhere — shoot, the Astros will even return for interleague play sometime — but when we said “Goodbye” I realized things will never be the same. Indeed, everything is changing dramatically. The Astros are headed to the American League next year. 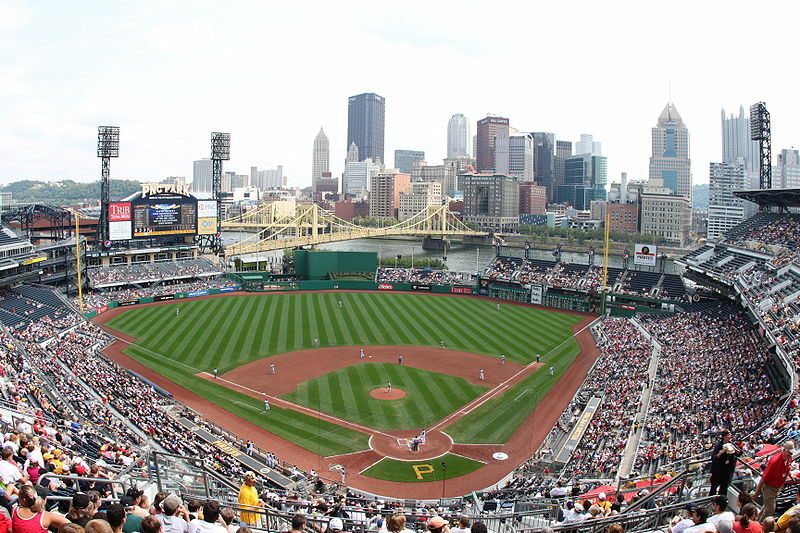 The club’s relationships with long-time foes like the Pirates (or Reds, Cubs, Cardinals, etc.) will no longer be ones of comfortable familiarity. We won’t all live in the same town (National League) anymore. We won’t live under the same roof (NL Central). We’ll still see our daffy uncle (Dodgers) on the major holidays (World Series) whenever our busy lives allow. Maybe our big brother (Cardinals) will swing by for a brief visit next summer (interleague play). Leaving Pittsburgh for the final time as a division opponent made me realize that my relationship with the National League is changing. Fortunately, the Astros will pass through all five central division towns this month. We can say our proper goodbyes before heading into the new frontier. I’m surprised at how weird it feels. Since the Astros were born as the Colt .45s in 1962, they’ve been the most common opponent for the Cincinnati Reds. We’ve seen a lot of one another over the past 51 years (almost 840 games!). Sunday was the last time they’ll play a division game in the Queen City. So I made the walk to Great American Ballpark — one final time — on a glorious fall morning. I chatted with Bob, the press box attendant, about Saturday’s college football games and he made some joke about my alma mater. He always does. 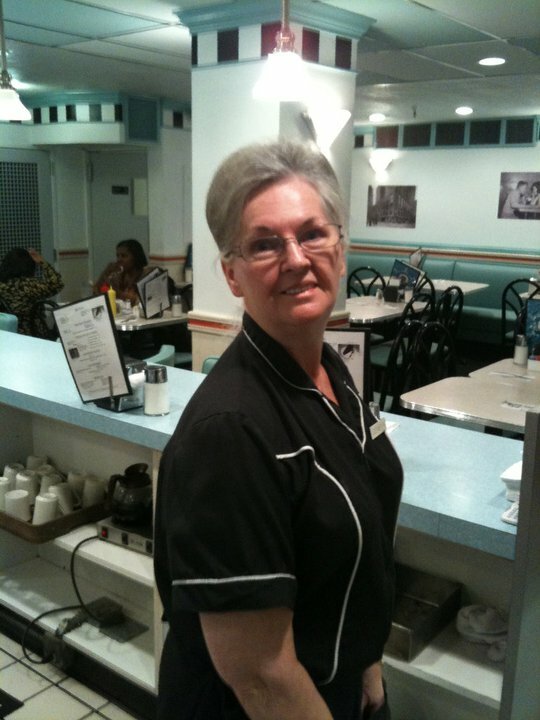 I teased Denise at the cash register in the media dining room, because I always do. And fussed about the day-game working conditions there. That sun is so bright! But it’s the little things I’ll miss the most: the proximity of the hotel to the ballpark in St. Louis, my breakfast places around the league, the stench of cigarettes and burnt bacon at “My Office” in Milwaukee and, the pièce de résistance, Geneva‘s beehive hairdo at Hathaway’s Diner in Cincinnati. So you understand, it’s not all glamor out there. I’m plenty happy to turn my back on those predictable rain delays in Pittsburgh. And I won’t miss the vantage points in either Pittsburgh and Washington, DC at the summits of their new parks. Those are clown broadcast booths, bro. The famous SkyBlast fireworks shows in PIttsburgh are beyond imagination though, and the panoramic vistas from PNC Park are top notch. Point is, we take the good with the less-good. It’s what family does. As we leave our comfy little nest this month, I’m filled with all those emotions of going off to college. It’s time to challenge our comfort zone. Heck, that’s kind of exciting. Yes, I’ll dearly miss chatting with Keith as I climb the final steps to the press box at Wrigley Field. There’s nothing quite like the ivy, the bleacher bums and baseball’s most iconic daily tradition — singing Take Me Out to the Ballgame with the northsiders. We’ll make new friends though. We’ll discover new taverns and breakfast joints. It will be a blast. I wonder if Sharon and Lorraine will miss me in the dining room in Milwaukee? Will Lou — the octogenarian guarding Bob Uecker‘s booth — notice that we don’t come around anymore? I’d like to think they’ll miss our company. I’ll certainly miss them. In some way, it reminds me of the day we dropped off my older brother in Lincoln, Nebraska at the end of summer in 1988. We’d unloaded a couple of boxes the night before so he could stay with his new roommate that night. The rest of us piled into a hotel room. No big deal. After a cordial breakfast the next morning, and a few final suggestions, he needed to trek across campus to get to class. I’ll never forget watching him slip on his backpack and walk away. I think my mom and I cried the entire seven-hour drive back home. Talk about sweet sorrow. Or maybe it was my dad’s cigarette smoke. Hardly. I missed my brother the second he walked away. At the same time, I was excited for his opportunity to go see what the rest of the world had to offer. What could be sweeter than pursuing one’s dreams in college? Also, I heard that college kids chased girls and drank beer. Lucky duck. So we say goodbye. We’ll miss hanging out with the old lugs. Something tells me that they will miss us, too. Perhaps one last memorable game will emerge in these last three weeks. If not, we have fifty-one years of cherished memories. We’ll remember Tommy Lasorda assuming landlord duties in 1980. “Renting first place?” Good one. We’ll never forget Randy Johnson going 11-1 down the stretch in 1998, or Chris Burke going yard in the 18th inning. Craig Biggio some 3,060 times. And what would Kerry Wood (20 Ks!) or Matt Cain be without the Astros? Think the Mets or any fan of the game will ever forget the 1986 NLCS, perhaps the greatest ever played? Fifty-one years. The Astrodome. Larry Dierker – the kid, the voice, the skipper. Joe Niekro. The Killer B’s and foamers. Gene Elston‘s voice echoes forever. So does Milo‘s. Throw Hall of Famer Harry Kalas‘ “Astros Orbit” home run call in there among the memorable lines like “Hot ziggity dog and sassafras tea!” and “Now ya chunkin'” by the inimitable Loel Passe. The important thing is that we don’t lose those memories. Change is never easy, I know. I suspect the NL will miss us just as much as we miss them. Let’s enjoy these final 20 games. Then let’s march confidently off to our new start. And make new memories. It’s an off-day today. So I figured I’d pound out a few thoughts. First, I’ve always had a thing for baseball announcers. Their stories fascinated me as a kid. Growing up in small-town Nebraska, I didn’t get much access to broadcasts, but when I did I was a good audience. I loved Joe Garagiola during the Saturday Game of the Week. Bob Uecker popped up on the broadcasts and the commercials during those days. He’s a genius. And it turns out Vin Scully was pretty good during the post-season. Fortunately, Pat Hughes — the long-time voice of the Chicago Cubs — shares a similar affection for these guys. Pat has produced a series of CDs devoted to the careers of several great announcers. He even did one on my partner, Milo Hamilton. I strongly recommend spending a few minutes to check out “Baseball Voices: Commemorative Audio Tributes to Baseball’s Greatest Announcers.” Pat has written, narrated and produced 10 fabulous CDs with historic radio calls, background stories and lots of extra audio rarely heard for legends like Harry Caray, Marty Brennaman, Red Barber and others. Along those lines, the Astros returned from Chicago late last night after completing a three-game series with the Cubs. Per usual, the radio booth at Wrigley Field was a disaster. It’s tiny and uncomfortable. Often times it’s suffocatingly hot. It’s also one of the greatest places on earth. For years I sat no more than a foot away from Cubs radio analyst Ron Santo — separated only by the pane of glass between our booths. We talked a lot. Ronnie loved to chat. And, man, did we laugh. Everyone who talked to Ron laughed. I tell my boys that Ron never had a bad day. I’m not exaggerating. I’ve never heard of him appearing tired or frustrated or down. We’re talking about a guy who endured eight surgeries on his right leg before doctors had to amputate his foot. Several weeks later, they brought him back in to amputate the rest of his leg from the knee down. The following year, doctors took his left leg from the knee down as well. Heart attacks, quadruple-bypass surgery and a life-long battle with juvenile diabetes never seemed to bother Ron Santo. The one thing that occasionally drove Santo nuts was — no surprise here — the Cubs. When they played well, Ronnie beamed. When they struggled, it broke his heart. His suffering was heartfelt, genuine and painful. It was also endearing. Ron Santo passed away at the tail end of 2010. First week of December. Less than a month ago he was inducted into the National Baseball Hall of Fame; a recognition he openly hoped to receive. I always felt Ron’s playing career was Hall worthy, but admit that I might be swayed by my affection for the man and his unique broadcast style. Last week, I pulled into my garage and let our mini-van’s engine idle for a few extra moments as my wife and kids climbed out. I wasn’t quite ready to get out, myself; I needed a little more time. It just so happened that we were listening to “Baseball Voices: Ron Santo.” It’s the only audio tribute Pat Hughes has done for a non play-by-play man. And it’s a beauty. “Mom, is Dad laughing or crying?” my 9-year old son asked. My wife understands me pretty well. I was definitely laughing. I was also crying. I couldn’t help it; Ronnie had that effect on me. I miss the big fella. Santo’s wife, Vicki, delivered a terrific speech at Ron’s Hall of Fame induction ceremony. She captured the spirit and personality of the man as beautifully as could be imagined. Pat Hughes and Ron Santo — great broadcasters but better men. So the Dog Days of summer are here. Not sure if you noticed. On Sunday morning I wrote a lengthy blog about this annual phenomenon. I’m not going to tell you that it was prize-winning prose, but I was happy with the way it read. Then I hit the “publish” button on my screen and watched in horror as everything I wrote vanished into the ether. I could have been furious at worpress.com or my computer. But I was too tired. Maybe it was cached somewhere. Fact of the matter is, I screwed up. I didn’t check to see when last auto-save took place. I wasn’t careful enough to copy the text before leaving the screen. I was reckless. Lazy. That’s what happens this time of year. The heat bears down on a guy. The baseball schedule and exhaustion start to wear like a lead jacket. If I didn’t know it first-hand, I surely would have noticed it last week. When we arrived in Atlanta on Wednesday night, I watched Astros TV man Bill Brown struggle with his room key. Every weary traveler has dealt with this frustration, right? The card was mis-programmed or the magnetic strip is corrupt. Sometimes an older hotel room door can be sensitive or wonky. Anyway, you have to gather up your stuff again, traipse back to the elevator, return to the front desk and wait in line. Once there, you explain the situation, dig out your driver’s license and start all over again. Or, in Brownie’s case, you could just put your Starbuck’s gift-card back in your wallet and try your actual room key. Much easier. Poor fella. He was all tuckered out. I’m not trying to tell you that we’re all tired. I’m trying to tell you that we’re passed-out-at-the-lunch-table exhausted (yep…that happened too. Story for another day.). That is what the Dog Days are to baseball people. Some teams compensate by injecting new players into the clubhouse (read: Dodgers, Braves, Giants, etc.). They hope for renewed energy and buoyed spirits with the additions. Other teams do whatever they can to work around injuries or loss of personnel as they try to keep their heads above water (read: it’s not nice to point fingers). When I was younger, this was simply the time of year when pennant races took shape. When children pass the time looking for images in the clouds while contemplating nature and immortality. The structure-less days of summer blended into one another and Sirius began to rise with the sun. Now I find myself in the lobby of a hotel in Milwaukee doing whatever I can to remember my room number. When the bellman asked me the other day, I realized I had no idea. I’m guessing I’d have a better chance of explaining why the Babylonians found Pi to be so irrational. After the Astros homestand that begins Monday night, the team will head out for a stretch of five series in five different cities – with no more than 72 hours to settle in any one town. Here’s the upcoming travel schedule: Chicago – Houston – St. Louis – New York – Houston. In mid-August. During the Dog Days. Talk about a punishing schedule! Last week, in Milwaukee, Brownie returned to the hotel in the middle of the day. He got off the elevator on his floor and started looking for his room. The floors at this particular hotel are circular. As he walked, Bill noticed that just about every door had a “do not disturb” sign hanging from the handle. Finally, he found one without a sign. He tried his key. Not his room. He kept walking around and found another door with out a sign. He tried his key again. Among the many things baseball gives us, are the fascinating ways in which to examine the game. One fun way is through numbers. We find great discrepancies, odd parallels and inexplicable rarities. So Chipper has taken more than 5600 at bat more than the entire Astros lineup, collected over 1900 more hits and swatted more than six times more homers. I’d say the difference is stunning, but that might be an understatement. I stumbled across an jaw-dropping observation the other day. I’m not even sure why I was reading this article. It opened my eyes to a surprising fact, however. So let me pose you this question: since May 15th, who do you think has led the American League in these four offensive categories (HR, RBIs, SLG% and OBP)? Anyway, it’s not an obvious answer. At least it wasn’t for me. Maybe it’ll jump out at you, but think about it for a minute before you read the article. Many of you have written or tweeted (follow me @daveraymond4 on twitter – I’m happy to respond) expressing some confusion and/or concern about the Houston Astros‘ evolving roster. So I thought I’d try to put it all down in one place and then open the floor for questions. Matt Dominguez – was 2-for-8 in 4 gms. w/ Astros, .243-7-52 at AAA level this yr.
Matt Heidenreich – tall, 21-year old RHP; former 4th rounder, 25-17 w/ 3.87 ERA in 3+ yrs. Blair Walters – 22-year old RHP, in two yrs. in minor leagues: 13-6, 3.99 ERA in 32 gms. In all seriousness, it’s always tough to know what a team is getting with a “player to be named later.” Sometimes it’s an important part of the trade, sometimes it’s not a significant part of the transaction. Given what we’ve seen from Luhnow so far, I suspect that at least one of those PTBNL will be a prospect-level guy. Regardless, we’ve seen the Astros take eight players from the big league roster and turn them into 16 new bodies. That’s huge. I’m not much for talking about contracts and salaries and arbitration. Those things don’t interest me. I want to know who’s going to play; how good will these guys be? That said, those eight former Astros are being paid around $40 million this year with at least some future obligations, specific or implied. Shedding whatever payroll they did, the Astros created ongoing payroll flexibility. Again, that’s going be pretty important. More to the point, the players the Astros traded away ranged from 27 to 36 years old. The average age of the incoming 14 players is 24.2 years old (which included Francisco Cordero at 37 and does not included the two PTBNL). It’s not easy to see guys go. We all know that. It’s kind of like eating vegetables; not fun, but necessary for our health. The fact is, you’re witnessing one of the most dramatic turnaround efforts in decades. The Astros are getting younger, deeper and more talented while, at the same time, getting payroll back in line with revenues. Next step is to develop the talent. Then the team can spend some money to build around the home-grown nucleus. As Luhnow said on his pre-game show today, “There is a plan in place. We want to get to a point where we can compete year in and year out.” It takes time. I’m sure you have a lot of questions. I don’t have every answer, but I’ll try to explain whatever I can. Feel free to ask via twitter or through comments to the blog. Two quick things: first, I apologize that I haven’t posted more often. It’s my goal to take this thing a little less seriously, and toss more ideas up here more often in the second-half of the season. Sorry for the recent cone of silence. Now, to the Astros current pride and joy. Jose Altuve. Just 18 months ago, Jose Altuve was a 20-year old unknown to the Astros coaching staff. Yesterday, he flew to Kansas City to play in the 2012 MLB All-Star Game. Altuve’s first big league experience? He was called up from minor league camp during Spring Training to be chased around during the Astros’ run-down drills in 2011. That same spring, Altuve joined the big-league club as a roster-filler for a couple long-distance Grapefruit League split-squad games. “We fell in love with him,” said manager Brad Mills. Altuve — whom fans have dubbed anything from “Pocket Jesus” to “El Chaparrito” to my favorite, “Pequeno Gigante” — earned his spot as a National League All-Star in, perhaps, the best way possible. He was voted in by his peers. No, Altuve didn’t win the popularity contest (read: Fan Vote). Shoot, even that process has devolved from a Q-rating or name-recognition exercise to a modern day ballot stuffing contest in the form of a programing/algorithm challenge for the computer crowd. I realize that I’m comparing NL to AL, but did Pablo Sandoval (5.7M) really get more than four-times the votes of Toronto’s Brett Lawrie (1.2M)? Come on. Fortunately, the players get a say in this thing. And they voted for Altuve. I can’t think of better validation of what you do than the admiration of your peers. Not that it comes as a huge surprise. Player after player, and team after team have commented on how impressive the little fella is. Michael Young nearly emerges as the star of this Astros “Mic’d Up” video for his comments about Altuve. Anyway, good for our pequeno gigante. Here’s hoping he steals the show on Tuesday. Be sure to bring a fresh head of lettuce to give to Bill Brown. He can explain the rest. Brownie, in his 26th year as the television “Voice of the Astros” is spending the All-Star Break signing his new book and hanging out with fans. If you haven’t already purchased (and read!) his latest work, “My Baseball Journey, A Sportscaster’s Story,” consider this a friendly nudge. You’ll love the book. You’ll also be supporting a terrific cause. You’ll get to know much of what makes Brownie the remarkable man he is today. Hear his memories of being with the Astros during 9/11. Meet Seargent Cluff; from Bill’s days serving our country in Vietnam. Relive some pretty good exchanges with Jim Deshaies from actual broadcast transcripts. Heck, Brownie even takes you behind closed doors to recount some interesting broadcast meetings with his bosses. Did you know he broadcast for the Cincinnati Reds during the Big Red Machine era? The book is for fans, aspiring broadcasters and those simply interested in learning more about baseball, America and the reward of following a dream. Most importantly, though, you’ll get to know the real Bill Brown — a genuinely caring and compassionate man. 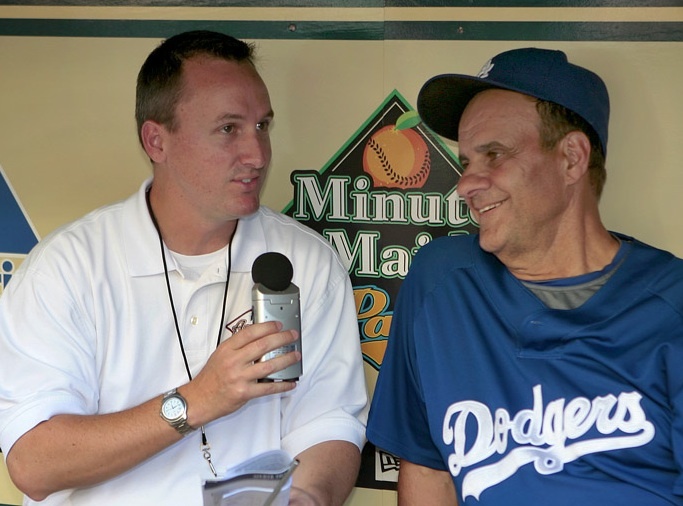 When Brett Dolan and I were hired by the Astros prior to the 2006 season, Brownie did something I’ve never heard of another broadcaster doing. He reached out to offer as much help as we wanted. He handed over 20 years worth of his own diligent work: notes, stats and nuggets one could only get by covering a team every day for two decades. It was a combination of fastidious record keeping and research. I’m sure that doesn’t resonate with most people the way it should. In a cut-throat industry of individuals looking for anything to distinguish themselves from the crowd, Bill Brown surrendered everything he had worked on — to a couple of new guys. Years later I’ve come to understand that Bill Brown never tallied his accomplishments or hoarded his notes, stories and stats to set himself apart from everyone else. He’s raised himself above all those things — given them all away, in fact — to distinguish himself in a much more meaningful way. No broadcaster in the world can give as much of himself as Brownie has to his fans, his colleagues and the athletes he has covered. That’s his legacy. And now he’s poured it all into a book. Not to glorify himself, and not for money. He just wants to help kids like Zach Hamm. Zach is 12-year old boy with ectodermal dysplasia who lives down the street from the Browns. It’s a complicated and lousy genetic disorder. Craig Biggio befriended Zach and made him an official member of the St. Thomas baseball team a few years ago. In doing so, he taught Zach how a little visibility can be used for progress. Zach has since raised big money for medical research on ectodermal dysplasia. As it happens, these three lives have merged into an inspiring triumvirate you can both read about and support. I can’t think of a better way to pass the 2012 All-Star Break. For more on Brownie’s book, check out the website: www.mybaseballjourney.com. Have fun, be safe and talk a little baseball with Bill Brown this week. You’ll be happy you did. Oh, and don’t forget the lettuce! I’m disappointed that Jed Lowrie didn’t make the NL All-Star team. I certainly understand that this kind of thing happens. And, yes, life isn’t fair. Jed deserved to make the team, though. When they announced the final rosters last week, Lowrie owned the highest on-base percentage among everyday shortstops in the NL. He also had the highest slugging percentage. Combining those numbers for his OPS (on-base plus slugging), Jed was more than 100 points higher than the next closest at his position. OPS has, in recent years, become the simplest metric by which we can measure the offensive value of a player. Lowrie blew away his competition in the first half of the season. He’s not the only snub, of course. I bet we could make a pretty good team out of guys who were not originally named All-Stars this year. I took a quick stab at it myself. Any other suggestions? That took five minutes. So I guess there are plenty of guys who get snubbed. Somehow, I don’t think that helps any of them accept being left out. Dude, that is so tweet!